The sixth film from American writer-director Paul Thomas Anderson, The Master tracks Freddie Quell (Joaquin Phoenix), an animalistic, obtuse loner living his present as a simultaneous escape from a shadowy past (including time in the Navy during World War II) and an avoidance of the future. A series of conflicts with his environment, unfurled brilliantly with minimal dialogue and magnificent images by Anderson, lead Freddie to a Navy homecoming of sorts - drunkenly sneaking onto a boat. He awakens to find Lancaster (Philip Seymour Hoffman) and Peggy Dodd (Amy Adams); the former the amiable, boisterous leader of a vague movement called The Cause, the latter his dedicated, emotionally detached, iron-fisted counterpart. It is through this trinity of contrasting personalities that Anderson is able to mine deep wells of psychology and emotion. Narratively, The Master is Anderson’s most elliptical and impressionistic, stripped of exposition and opting for scenes that accumulate meaning rather than editing for a logical progression. It follows a mostly chronological path with a few flashbacks and a stirring, occasionally recurring image motif of the cerulean wake behind a ship. Shot in 65mm for a higher resolution and with an aesthetic style closely approximating films from 1950s Hollywood, Anderson puts forth perhaps his lushest and most sophisticated visual work yet. The extreme closeups and shallow focus utilized throughout create larger-than-life abstractions and form this intimate epic. The music used combines Jonny Greenwood’s score (There Will Be Blood) and songs taken from the big band jazz era of American history (Ella Fitzgerald, Duke Ellington, Jo Stafford, and more). Taken holistically, the experience is unified and works on a human scale, transporting the viewer to the specific time and place portrayed; Anderson’s craft is fully formed, adventurous, and imaginative. Cinematically, it is a virtuosic work, one of the finest of the year. Also among the finest of the year are the performances, Phoenix and Hoffman especially. The story is Freddie’s - significantly, neither a hero nor an anti-hero - but as well as Phoenix steps into the limelight, Hoffman knows when to step back. This give and take is vital to the film and the variety of traits on display assures there is some aspect that viewers can relate to. Additionally, the context for Freddie’s journey is equal in importance: a post-war America looking for stability has very little room for unpredictable eccentricities such as his. The Cause - sketched out as a therapeutic practice of time-travel to examine past lives and therefore find the root of our personality struggles or dissatisfaction - gains momentum in this landscape. It offers answers, a feeling of personal progress and satisfaction, and most importantly, hope: a sorely needed commodity following the devastating realities of war. Comparisons have been drawn to Scientology, but Anderson has simply used real-life events to inform his fiction and the details of the movement could be swapped with little consequence. In fact, it’s easy to speculate what drew Anderson to the project, himself encompassing aspects of the main characters: Freddie’s rebellious and restless nature, Lancaster’s command and control, Peggy’s determination and rigidity - each a valuable quality for an artist in an increasingly commercial world. These characteristics manifest most visibly in the biggest step forward for Anderson’s work: his moral stance. Departing from the easily condemned greed and ambition of There Will Be Blood and looking further inward, the seeming message of The Master is that we all have one in some way or another: the self and its needs, a nation, belief system, profession, ideology (often a combination of these); and that there are practical consequences to these choices. Are the organizations and societal structures we participate in a way of rescinding personal responsibility? Do they exclude more than they include? Are hierarchies avoidable? In what ways is one both a master and servant? How can one overcome this inherent separation within relationships, if at all? How do our chosen commitments and interests bring us closer to or take us further from the shared experience of mankind? In a move that may frustrate viewers, Anderson leaves these questions unanswered, striking out once more to confound expectations of precise conclusions. Even as placing the characters onto well-worn paths of transformation, Anderson embraces them, extreme flaws and all, and resists simplistic arcs, a pivotal step in his maturation. It is this that may alienate most, yet it is Anderson’s continued propulsion into new territory. Freddie is after all, as eloquently stated by Lancaster Dodd at their first meeting, a human (“...above all, I am a man, a hopelessly inquisitive man, just like you”). And so, Anderson’s curiosity triumphs over judgment, observation over criticism. Conceivably, this is not as gratifying as more conventional, easily understood, black-and-white approaches common in contemporary cinema. However, it is a worldview that acknowledges imperfection, both fully accepting human beings as fallible and encouraging growth through this very realization; a perspective, though rarer, no less profound. Like Anderson, Dalton Trumbo, the screenwriter and novelist blacklisted during McCarthyism (another movement with the weight of religious fervor in 1950s America), chose to see people with equanimity: “There was bad faith and good, honesty and dishonesty, courage and cowardice, selflessness and opportunism, wisdom and stupidity, good and bad on both sides; and almost every individual involved, no matter where he stood, combined some or all of these antithetical qualities in his own person, in his own acts.” Trumbo and Anderson unflinchingly look to the paradoxical, mysterious foundation of human beings. Unlike the subjective nature of human experience, the complications of making one-size-fits-all, large scale societal decisions, or the space-time constraints of filmmaking as a creative medium, the inquiring mind knows no boundaries or judgments. Instead, it sees things as they are, free of cognitive biases, adopting a course of action more akin to acceptance than ambiguity, though the results can look similar. So seldom is the film whose technique, ideology, and content are in full alignment while conjuring a sense of empathy. 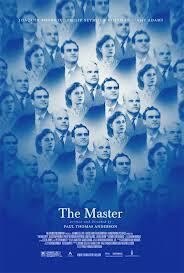 Paul Thomas Anderson has achieved this with subtlety, finesse, and elegant simplicity. Daniel Chung has a BA in Film Studies and Philosophy from Hunter College of the City University of New York. He is currently working at an internet startup, GetGlue and is an amateur filmmaker.